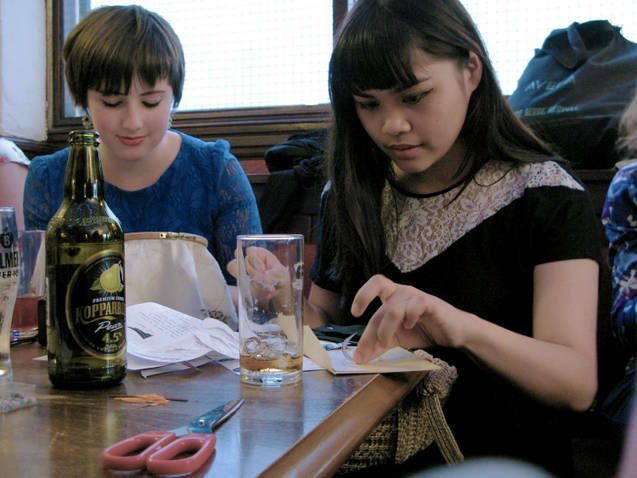 "The East London Craft Guerrilla" is the first "Craft Guerrilla" and part of 3 strong collective army (East London, Edinburgh and Brighton). Started by Deborah Daniel in 2008 as a back lash to the lack of suitable selling spaces, a lack of support within the creative community, against the growing appetite for mass produced consumer goods and the unfair, scandalous treatment of low paid workers. 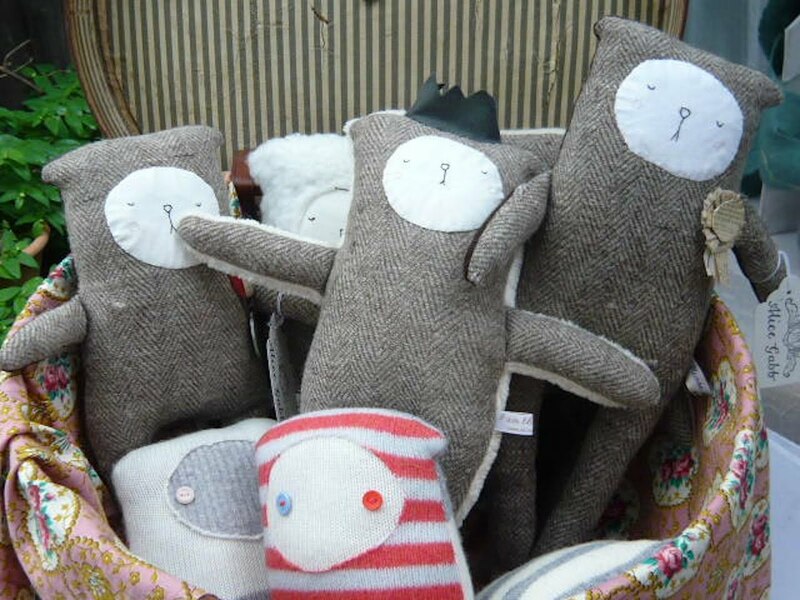 Craft Guerrilla is a designer maker led collective set up to work in conjunction with other crafts people, artists, designer makers, the local community and indie businesses. Serving as a platform to showcase upcoming talent Craft Guerrilla serves to empower and realize creatives to follow their dreams of having a sustainable enterprise. We're all for learning, teaching, networking, D.I.Y.-ing our own opportunities, sharing knowledge and experience with other crafty people as well as sharing and promoting the importance of craft to the general public for a more sustained and greener society! The aim is to take over empty available spaces and/or associate with “friendly” businesses and coordinate craft events that will generate sales for members and those associated businesses as well as bringing quality,well designed, hand made premium products that will last! And because by selling we're adding to the "consumer" pile we teach people a modern take on the "make do & mend" movement so to empower them with the knowledge and know how when it comes to recycling and up cycling. We offer a selection of craft based events from Craft markets, d.i.y. craft nights, crafternoons and private tuition like specially tailored events for hen dos, birthday's, baby showers as well as corporate and business team building craft parties. We have worked closely with museums and galleries (V&A, Craft Space Birmingham, Postal Museum, Bury St Edmonds Gallery etc.) in delivering successful interactive & educational events as well as curating hand made products for The William Morris gallery gift shop plus a succession of seasonal markets on the premises which raised a large amount of funds and the gallery's profile. In fact we introduced the highly successful designer maker markets to the William Morris gallery back in 2009! What are the benefits of associating with the Craft Guerrilla? Craft Guerrilla provides a platform from where designer makers/artists can grow and blossom. Serving as a resource, sharing web traffic, serving as a collaborator and a vehicle to enable designers to realise their project into a sustainable hand made business. Working hard since 2008 Craft Guerrilla have become well regarded representatives, curators and purveyors of premium, quality, hand made goods and infamous for showcasing new artistic talent. Yes but it's dependent on the quality, originality and body of your work. We have a strict criteria and aesthetic we follow in order to select only the best designer maker talent! NO! Unless we are doing a specific event like a curating an "exhibition & sale" where we sell directly to the public for example a Craft Guerrilla pop up shop or online in our boutique. If you have a stall you pay for the stall and that's it! We'd be happy to welcome you to our army but because the name is trade marked you'll need to contact us before you get the ball running. If you want to join the CG community and follow our manifesto you'll need to drop us a line. It's not just polite to ask but also legally you'll need to get our permission. If you are interested in started your own Craft Guerrilla sister army then please e-mail us for T&Cs, membership fee and relevant details. *Please note that this blog is for the East London and general Craft Guerrilla Army. To contact an individual army please visit the aforementioned link.